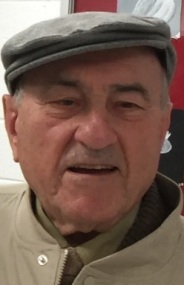 Mr. John Kovacs of Piscataway, NJ, passed away on Wednesday, November 28, 2018 at his home. The funeral will be conducted from the Biondi Funeral Home of Nutley, 540 Franklin Avenue on Monday, December 10 at 8:15 a.m. There will be a funeral mass celebrated at St. Mary’s Church, Nutley at 9:30. The interment will be at Holy Cross Cemetery, North Arlington. Visitation will be on Saturday, December 8 from 1:00 p.m. – 5:00 p.m., and on Sunday, December 9 from 1:00 p.m. – 5:00 p.m.
Mr. Kovacs was born in Lenti, Hungary and resided in Piscataway for many years. He was a Mechanical Engineer Foreman at Manning & Lewis Engineering, Union, NJ for 40 years before retiring. He is survived by his beloved children John Kovacs and his wife Danielle, Joseph Kovacs and his wife Debra, and Paul Kovacs and his wife Zoraida; his loving sisters Ergi and Malgda; and also his cherished grandchildren Cristina, John, Christopher, Allison, Melanie, Julianne, Matthew, Zoraida, Jared, Zachary and Josh.